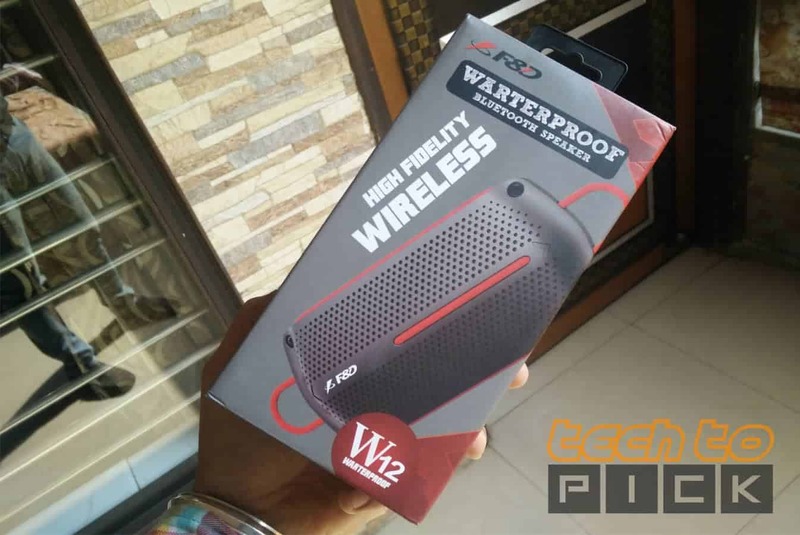 Hey Guys Harpreet Here from TechtoPick, and today I’m going to talk about F&D W12 Bluetooth Speakers which cost Rs.2200 in India. 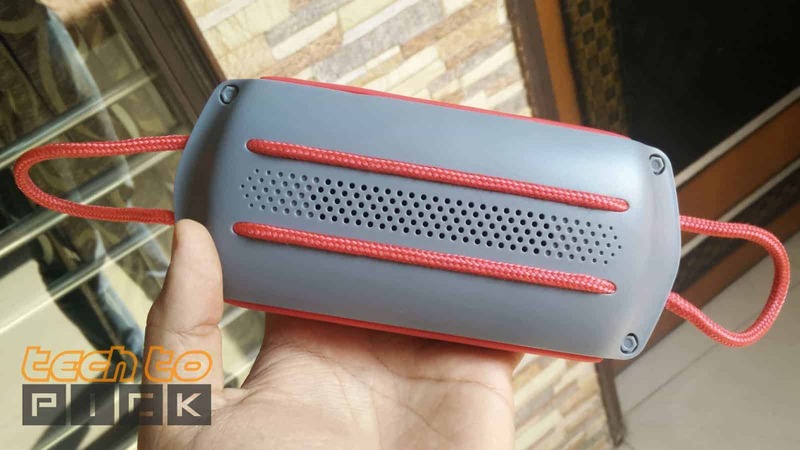 Starts from looks if you just want a Bluetooth Speaker which looks awesome then that is exactly what you want red and grey combination looks stunning and Overall material used to build this Speaker is fantastic So, in Looks and Build Department I Give 9.5 out of 10. Now talk a bit about Internals inside this you got Two 4W Speakers, a 1500mAh Li-ion Battery, and this Bluetooth Speaker is IPX4 Waterproof.F&D W12 has 1.75″ full range neodymium driver & Passive radiator for springy bass. 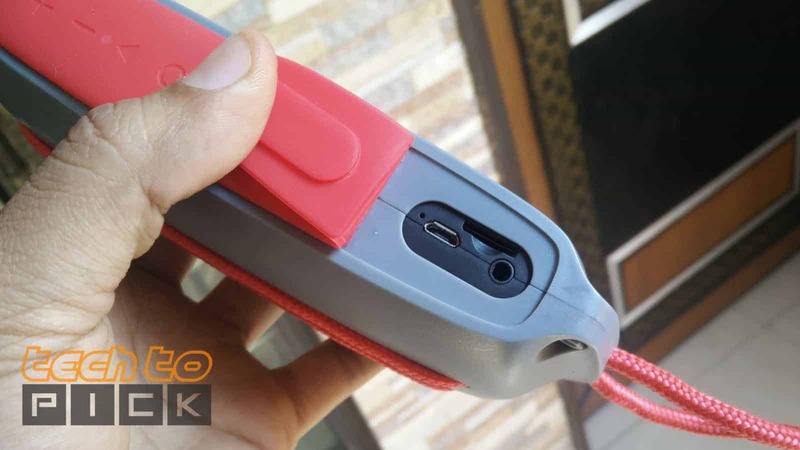 Coming on to the Connectivity options it has Bluetooth Ver 4.0, Micro SD Card Slot so you can listen directly from your micro sd card and AUX Input. But Don’t even think to dip this underwater because when I dip this F&D W12 into water then it stops working so be careful.But this can handle WaterSplash or rain only. Now Talk about Sound Quality which matters a lot and I’m Super Impressed with sound Quality. If you love to listen to Songs on Loud Volume with great Bass then you will defiantly love this Bluetooth Speaker. Because that small Bluetooth speaker produce really great bass and overall vocals from speakers are also good. Talk about mids and highs section that F&D W12 doesn’t disappoint you So, in Sound Quality I’ll give 8.5 out of 10. Now coming on to battery life F&D W12 is also really Nice I got almost 7-8 hours of battery backup on single Charge which is a great thing. So, in my opinion, F&D W12 is a great Bluetooth Speaker for all those persons who want a portable Bluetooth speaker which product great volume with bass then that one is Best for you and yes that is a peach of tech which you can show to other peoples because it looks really beautiful color combination is great and overall build quality is top-notch.